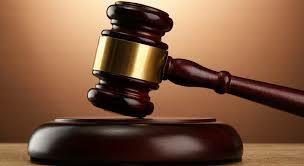 A HARARE woman, who appeared in court in September last year charged with claiming child maintenance fees from two men, was on Saturday convicted for falsifying information and acquiring two birth certificates for the same child. Stella Kwanisai (31) pleaded guilty to the charges when she appeared before magistrate Barbara Mateko on Saturday, who remanded her to today for sentencing. The complainant is one of her ex-husbands, Kenias Chizema, who once appeared in court for owing $3 000 in maintenance arrears. The court heard that sometime in March 2008, Kwanisai gave birth to a baby girl. Towards the end of 2008, Kwanisai registered the same baby under another name, claiming, Solver Nyaude had sired her. In June 2013, Kwanisai started claiming maintenance from both Chizema and Kwanisai. Chizema learnt of the scam and reported the matter to the police, who later discovered that the child had two birth certificates bearing two surnames.